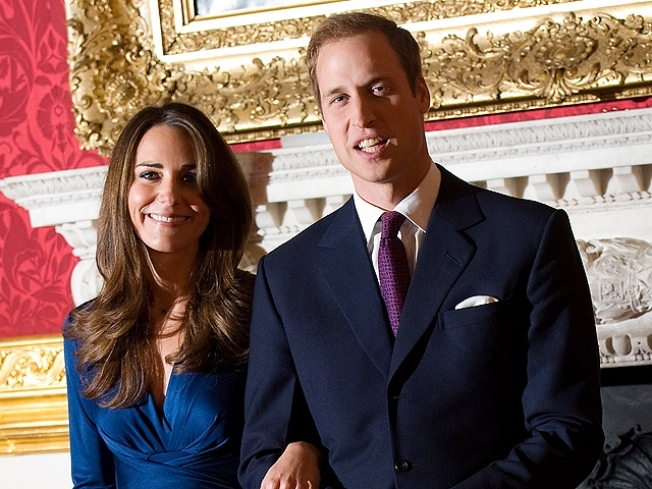 Prince William and Kate Middleton royal nuptials are being recorded for sale. Prince William and Kate Middleton can go straight from Westminster Abbey to your personal playlist. For the first time in history, the entire April 29 royal wedding ceremony — including the couple's vows — will be released digitally within hours of the service though Britain's Decca Records to online retailers such as iTunes, royal officials said Wednesday. William's office and the record company said that an official audio recording of the event — as a CD, vinyl or cassette — will then hit stores on May 5. Decca Records — which also recorded the wedding of Prince Charles and Diana — said the physical album will include a special collector's booklet featuring the complete order of service, the readings, vows, hymns and blessings, and all the music from the ceremony. The album will be produced by a Grammy-nominated producer Anna Barry, who welcomed the "great honor and enormous responsibility" of her role. "The wedding means so much to millions of people all over the world," Barry said in a statement. "We have to capture every note and every nuance perfectly and have the recording ready within minutes of the end of the ceremony." Musicians confirmed to perform at the royal wedding include the Abbey's choir, the Chapel Royal Choir and the London Chamber Orchestra and the Fanfare Team from the Central Band of the Royal Air Force. PLAY IT NOW: Access Hollywood Live: Royal Wedding Countdown - What Does William & Kate's Body Language Say?